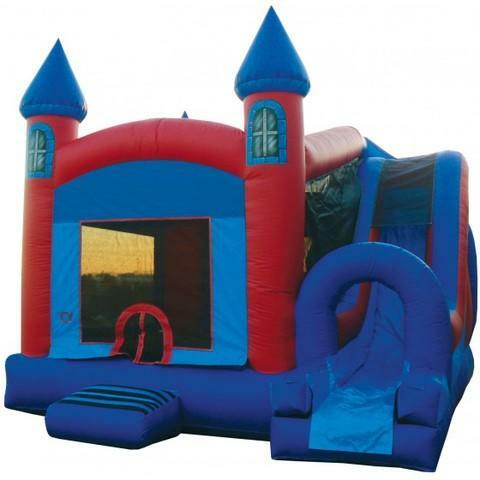 Your kids will love this beautiful 4 in 1 combo castle, it features an inflatable safety ramp to protect your kids as they scramble to get inside the bouncer, a velcro doorway to keep them from falling out as they bounce around, a large netted window that keeps it cooler and Parents can see inside, a no jump net at the top of the exterior slide that keeps them from jumping and falling off. It has a bouncing area with a bastketball hoop inside, a climbing wall and 17 feet of sliding fun. This is a dry combo.